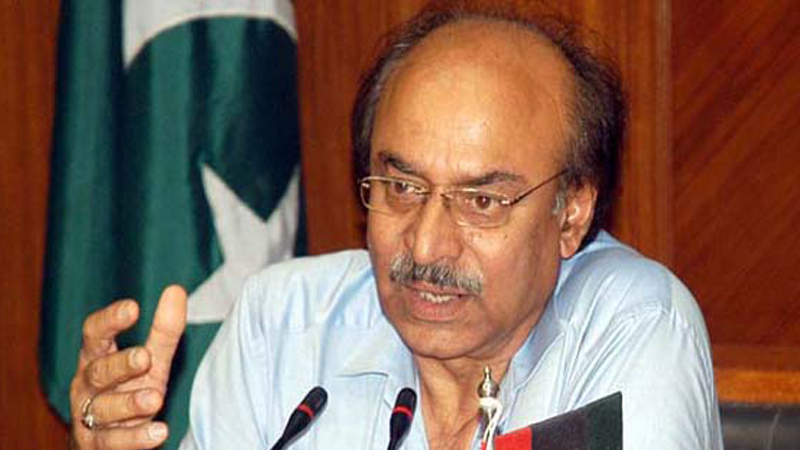 LARKANA: The Pakistan Peoples Party (PPP) Sindh president Nisar Ahmed Khuhro said on Saturday that whether to form a coalition government with other political parties or to sit on the opposition benches, it would be decided only after the election results are declared. While addressing a press conference at Larkana press club, he expressed hope that PPP would form a provincial government in Sindh and federal government in centre by forming an alliance with other political parties. Meanwhile, the Tehrik-e-Nifaz-e-Fiqh-e-Jafaria (TNFJ) Sindh leaders including Waqar Ashraf, Amar Yasir and others announced to support PPP, and urged their supporters to vote for “Arrow” on July 25. Khuhro termed forming a coalition government as ‘a part of democracy’ when no political party gains majority of the votes. “PPP would not hesitate to sit on the opposition benches,” he said while denouncing PPP’s political rivals that the general public were well aware of ‘anti-democratic’ forces in Pakistan. Regarding Bhasha Dam, he expressed certain reservations and said that it could be constructed at the upper region of Tarbela Dam, and not at the lower region. “The dam should only produce electricity, and the water stored in the dam should not be used for irrigation,” he said while criticising former president Pervez Musharraf for wasting nine years to build Bhasha Dam. “Kalabagh Dam has been rejected by three assemblies already as it poses serious threats for three provinces,” he said. He said that free, fair and transparent elections should be conducted, and the electoral bodies must ensure that the election results are declared accurately. Khuhra said that every political party has a right to launch election campaign, but PPP was being hindered. He revealed that PPP Chairman Bilawal Bhutto Zardari would arrive in Larkana on late Saturday for holding election campaign for NA-200 and the adjoining districts. “We will save democracy and Sindh from all kind of conspiracies,” he said while criticising Muttahida Qaumi Movement (MQM) and Grand Democratic Alliance (GDA) for dividing Sindh and proclaiming an idea of formation of new provinces.